Remember the Samsung Droid Charge that was set to launch on April 28 but delayed at the last minute? Well Verizon just shot us an email to let us know that the phone would be available for purchase tomorrow at Verizon stores and online. 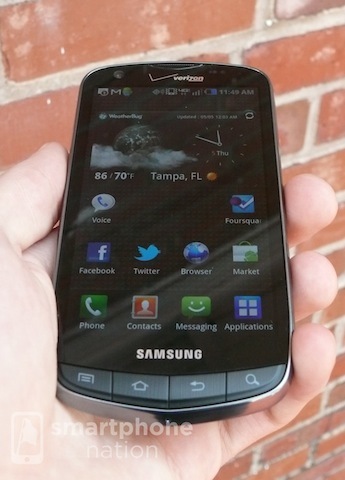 As a refresher, The Droid Charge has a 4.3″ AMOLED display, a 8-megapixel rear-facing camera, and a 1GHz processor. The phone runs on Google’s Android 2.2 OS with Samsung’s TouchWiz UI over it. The phone will cost $199.99 with a two year contract.